Price: $14.99, including US shipping. 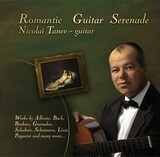 Solo albums with instrumental music do not appear very often, especially in the style explored by the young Nicolai Tanev. The Brazilian guitar music is almost unknown in Bulgaria. This is the very first album in this genre, issued and distributed by Riva Sound. Perfectly aware with the technique of the classic guitar, Nicolai Tanev is also interested in jazz (he takes part in the debut album of Free Point and plays the clubs with this band). The jazz is present in Cocoa Beans too, could it be only a feeling. Among the works of Villa-Lobos, A. Carlos Jobim, Laurindo Almeida and others, Nicolai’s own composition fits in very well and we can’t but have a pity it’s the only one in this album full of beautiful and intelligent music. At last! The fans of the latin exotism lived long enough to see such a project by a Bulgarian, who managed to do it as well as the classical masters did. Frankly speaking, if you don’t know that the guitar is in the hands of a Bulgarian you would think it is somebody like Di Meola, Luiz Bonfa or Paco. When you find out who really is you’re very pleased, and you come to the conclusion that Bulgarians are a very talented people. The idea for the debut of Nicolai Tanev came out spontaneously from an occasional meeting with the great Brazilian guitarist Carlos Barbosa – Lima. Guitar teacher himself, Nicky easily performs 13 cover versions by the veterans of Brazilian music, treating with equal success authors of different styles. With respect to them, but also having his own ear for the hot rhythms, he has composed his own piece Cocoa Beans. It is the real center of the sound, combining samba, bossa nova, rumba, blues, jazz, flamenco. 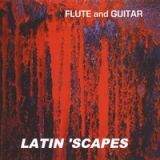 The hallmark of the guitarist is evident in difficult opuses like Manha de Carnaval and Ebony Samba (Luiz Bonfa) and Corcovado (Carlos Jobim). It is not necessary to listen to the whole album in order to come to the conclusion that it is professional and effective. Calm, acoustic and romantic. In spite of the tempestuous passions within. "I really like Al's harp playing. On the whole, this is a very enjoyable album.You are both fine players and very restrained." If this album has appeared in 2001, when it was meant to be, it would be one of the many dedications to the famous delta-bluesman in 2002, proclaimed international year of Robert Johnson. No doubt that Guitar Nick (Nicolai Tanev-classical, 12 string and slide guitar, vocal) and Blue Al (Alexander Donchev-harmonica) would be in their top 5. In the case you don’t believe me I’ll make you silent citing the words of Bruce Iglauer, the boss of Alligator Records - the Chicago label which delivers blues magic more than 30 years. “I really like Al’s harp playing. On the whole, this is a very enjoyable album. You are both fine players and very restrained.” The tandem is perfectly fused together-just like John Cephas/Phil Wiggins, Sonny Terry/Brownee McGee, Buddy Guy/Junior Wells. Unless our acoustic musicians wouldn’t manage to render so artistically and sensually difficult classics like “Love in Vain”, “Ramblin On My Mind”, “Walking Blues”, “When You Got A Good Friend”, where Robert Johnson demonstrates for the first time the techniques of walking bass and bottleneck. Some of the versions of Guitar Nick and Blue Al make me think that they are not in any way worst than those interpreted by famous artists. Just the reverse. Here are the parallels in favour of our guys, drawn from the best dedication to Johnson-Roots of R&B: Tribute to Robert Johnson. With “Sweet Home Chicago” they make ashamed Johnny Shines, with “Come On In My Kitchen”-Lonnie Pitchford, and “How Long, How Long Blues” meets the expressiveness of Robert Lockwood Junior himself. However, Guitar Nick & Blue Al read not only the legacy of the late titan, but also the real book of Ledbelly, Joe Williams and Willie Dixon. The CD plays first fiddle in the review section because of the original compositions of the duo (or the trio-with the percussion support of Stoungie Pavlov). “Springtime Boogie”, “Country And Blues Fantasia” and “Sofia Blues (Tanev) and “Little Green Frogs” and “Harmonica Solo”(Donchev) sound with their own voice, style and fit in very well in such a project. According to the legend: Robert Johnson (1914-1938) sold his soul to Satan in order to get the whole Blues instead, but the Devil gave him only 24 years of life for this. According to the facts: Guitar Nick and Blue Al gave it back to the devil, bringing back to life the mythical bluesman for another century. “Just like the previous year, I put on the first place the duo “Guitar Nick & Blue Al” (acoustic guitar and harmonica). They were the only participants in the blues festival who played the old “country blues”. Putting aside some misuse of the slide guitar, the duo showcases a high musical culture, right sense of construction and perfection of the musical form. Their instrumental playing is clearly articulated, the vocals are very close to the authentic sound and the music has a real feeling. Sonare Players, flutists Teresa and Janice Lemaire, and guitarists Nicolai Tanev and Johnna Jeong with percussionist Rick Shoemaker perform and record together as well as separately in diverse styles from classical to rock, blues, and popular genres. Rick also performs with his own band, while Janice and Johnna play and teach in the Atlanta area. Nicolai, recently relocated from Bulgaria to the U.S., has produced several CD\'s, and won the 2007 Runner-up award of the third annual IAMA (international Acoustic Music Awards) for his composition \"Sofia Blues.\"